Trump has tremendous support throughout the country the mainstream media can't stand. Star Tribune. 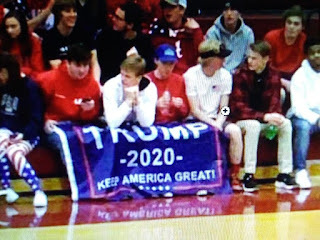 reports the boys basketball coach for Minneapolis Roosevelt High School questioned on Wednesday why young fans at his team’s road game in Jordan prominently displayed a flag promoting the re-election of President Donald Trump during Tuesday night’s contest.